Truth be told, if you had said to me I'd be laying claim to Gengahr's debut album being one of my favourites back in April last year, I might not have believed you. Although I was indeed instantly won over, when I first heard Fill My Gums With Blood, their unique quintessential sounds reminded me a lot of the typically hyped blog artists who quickly dissipate after their early emergence. Oh how wrong was I. Racking up tour support slots before quickly moving on to their own headline shows, each new release showcased a divine brilliance in their lustrous sounds, each song leaving you with a longing desire for more. With appetites most certainly whet through a tantalising release of singles, the lead up to their first record, 'A Dream Outside' has been a roller coaster ride from the off, and with a deliverance this strong, looks set to continue for a long long time ahead. Layered exquisitely throughout, the band's swooning vocalism and tightly knitted melodies unfold in to a magical intricate journey of awe and self-wonder - album opener Dizzy Ghosts quickly setting the mood for what's to come. She's A Witch, Heroine and Bathed In Light have already shown real promise and teased us fans to the point of self combustion with excitement ahead of its release tying in neatly with the continuing thematics of the record. Around the mid-way point we're treated to a wonderful instrumental offering showcasing a different side to their sound away from Felix Bushe's unique delivery taking funky steps in to more groovy, head-nodding territory with Dark Star. Not letting the tempo deviate for too long, elsewhere on the album Embers kicks up a fiery pace as marching percussion and drowsy basslines form the palatable backdrop to slicing jagged guitar melodies. 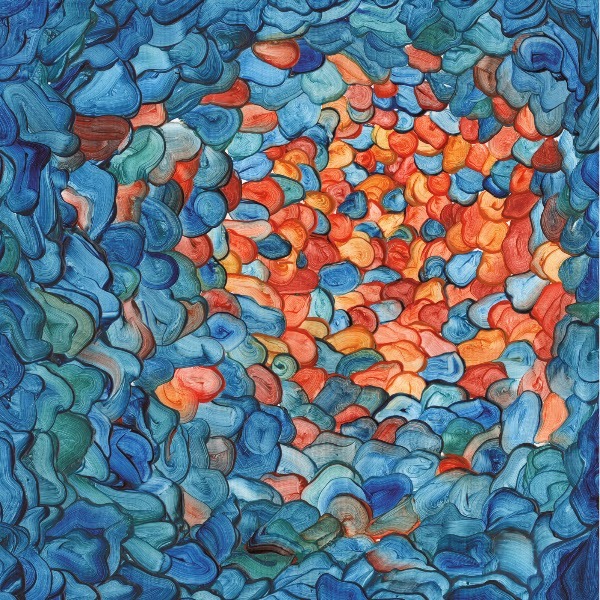 Even through its penultimate stages, my favourite thing with Gengahr is that they never make things too much of a monotony. Each and every track's changeable patterns, as subtle as they may sometimes be, are painstakingly pieced together to form the perfect work of art they represent. Lonely As A Shark being another fine example - all lovable yet with a sting in its tale around the 2 minute mark when you're thrown in to a murky whirlpool of swirling guitars filled up on twanging energy. Born through the desire to create something undoubtedly differentiating, the London based four-piece have most certainly achieved their goals here. A Dream Outside truly is like nothing you've ever heard before yet all the same time hugely relatable and no doubt a record they can be enormously proud of for years to come.